The guys talk about: GSP vs Hardy Frank Mir gets pummeled Wrestlemania 26 Gabe’s cat is visited by an outside cat Way more! The guys talk about: Chuck Liddell and Tito Ortiz Wrestlemania 26 The latest news Way more! 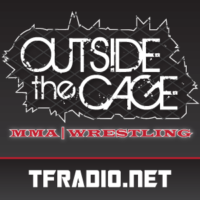 The guys talk about: Jens Pulver retires Strikeforce vs UFC GSP Way more!